The elegant charm and decadent style of the art deco movement recreated in an artistic wall sculpture. 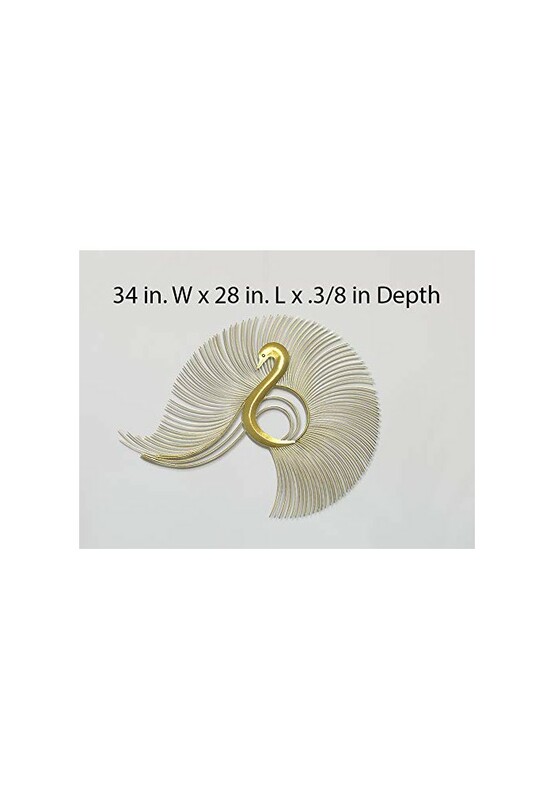 The golden peacock provides depth and dimension to walls in the most dramatic of home fashions. Perfect as a wall accent or a decorative accessory capable of asserting itself as a focal point amongst decor in a wide-range of styles. 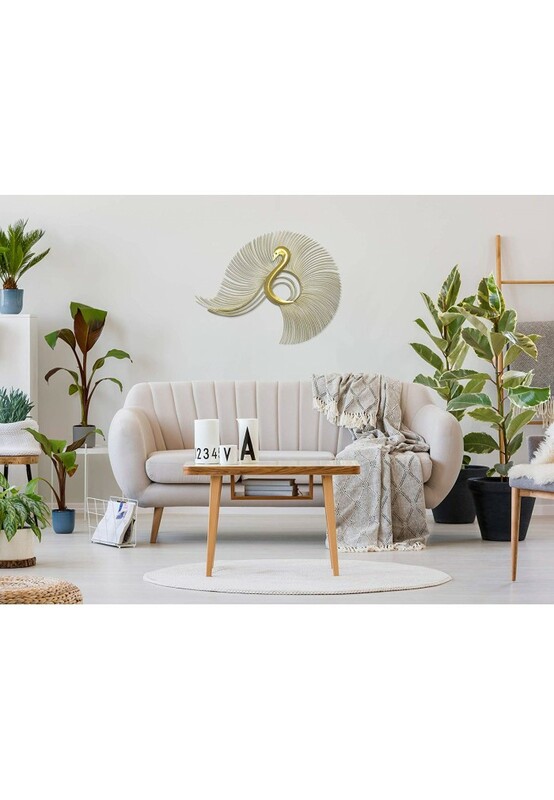 Bold, eclectic style enthusiasts, art decor design-lovers, collectors favoring maximalist looks and traditional decor stylists who want to add a touch of flair will all be swooning. Measuring 34 inches x 28 inches, and given the depth and texture the sculpture adds, this large wall hanging is an interior design dream. DecorShore Artisanal Home Decor Accents - Always Handmade by Expert Metallurgy Artists. 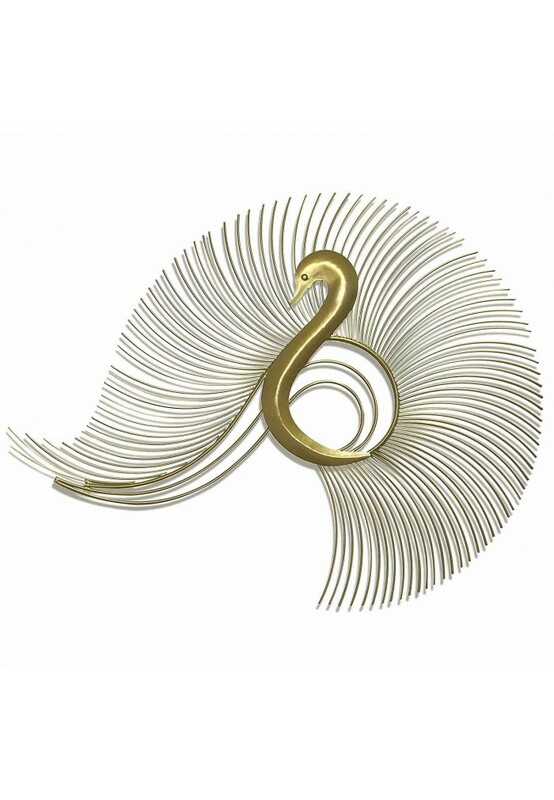 Handcrafted Metal Wall Decor in a Nod to Mid-Century Art Designer Favorites. Peacock Inspired Design in Shiny Gold Finish is Perfect for living rooms, bedrooms, dens, offices, the study, entry ways and more. Light-weight hand-sculpted metal art is 4.3 lbs. total weight. Each piece is unique. Eco-friendly Post-Consumer Recycled Packaging Can be Recycled Again After Opening. Should You Need to Return the Item, Save Packaging for Return. Clean Using Dry Microfiber Cloth for Dusting. Any Stubborn Spots Can Be Cleaned Using a Water-Dampened Microfiber Cloth to Wipe Clean.